Talent time provides scintillating opportunity in the form of various indoor and outdoor activities. This programme is designed bearing the multiple intelligence of a student in mind. Students are allowed to choose one indoor and one outdoor activities of their choice. These activities enable students to develop the talent that grooms them into confident individuals. There is an opportunity for all pupils to maximize their potentials via the extensive indoor activities customized, planned and designed. These activities are designed to engage the students and to develop them holistically. 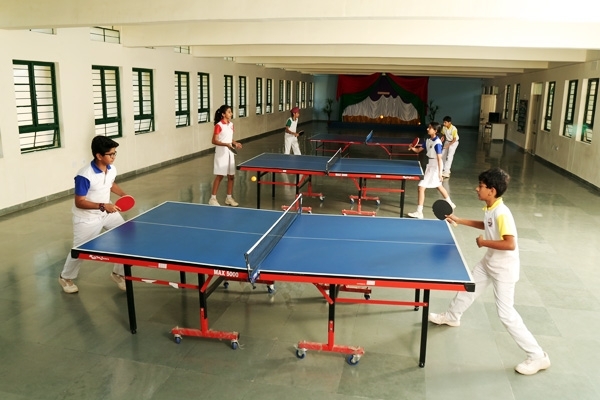 The wide range of activities provided are Table Tennis and Chess to pave the way for budding sports champions; Robotics to build the scientific temperament; Music to encourage the melodious singers; Guitar and Keyboard to build on musical sensibilities and Dance to de-stress the students. Outdoor sports provided in Talent Time are a vehicle for the development of self and a tool to instill the right spirit of sportsmanship. The school benefits from a team of expert professional coaches. The prime outdoor sports offered through Talent Time are Basketball, Football, and Lawn Tennis. 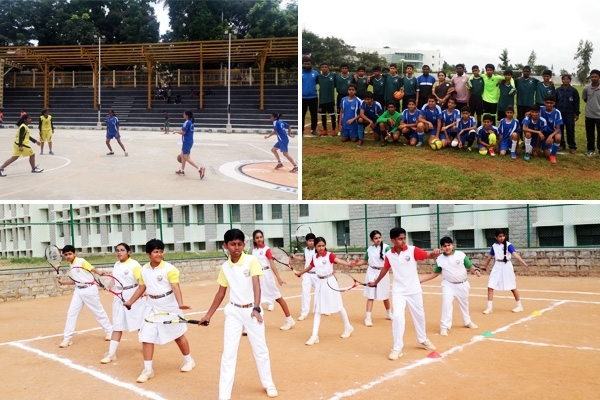 The majority of the students playing the sports flourish in school and house teams while many prove their mettle in inter-school competitions. First Serve is a fitness program methodology for the students of Pre-Primary to Grade II. National Public School, Gottigere has ensured that the fitness program is intertwined with the curriculum so as to focus and streamline our tiny tots into building the foundation of any major sports which progressively lead to technical specialization in the sport. The innovative sessions are age appropriate and instill in students the fun element in a game through the use of equipments and music. The periodic evaluations done are to encourage endeavour of the students and to optimize their latent skills. National Public School, Gottigere prides itself in designing Taekwondo programs in a manner which encourages fitness, discipline and an excitement to be in school. This program is made mandatory for the primary level to promote self-defense, confidence, self-discipline and perseverance right from a tender age. The art room is a haven which facilitates and motivates students to dive deep in colours, form and textures. This opportunity of playing with colours encourages sensitivity among students and boosts emotional growth. In NPS, art is not only a creative form, it’s a channel to sensitize social issues and social and environmental awareness. This is done through activities like artistic slogan writing, reusing old items, making eco friendly objects etc.The art pieces made by students are showcased in the art room adding to the creative and lively ambience of the room. 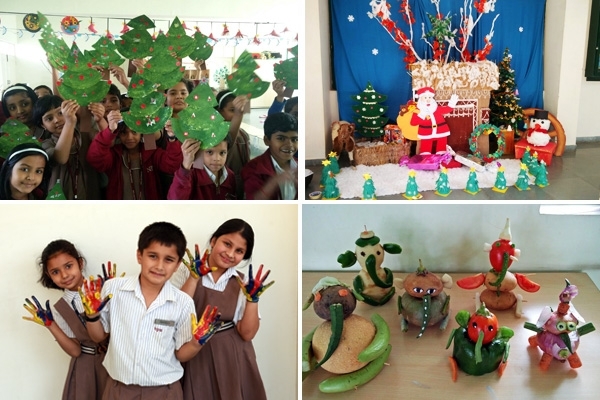 This display of beautiful art and craft becomes a source of inspiration for other students. The Art Club – "Impressions" consists of very creative and talented group of students who broaden the horizons of their creative selves by organizing art carnivals, exhibitions and competitions. The display of the beautiful art pieces can also be seen in the form of Annual Day props and the props made during other events. 'Impressions' also experiments with unique methods of converting simple objects into magical pieces of art. Many studies have found a correlation between music and academic excellence. At NPS, music is a vital part of the curriculum. 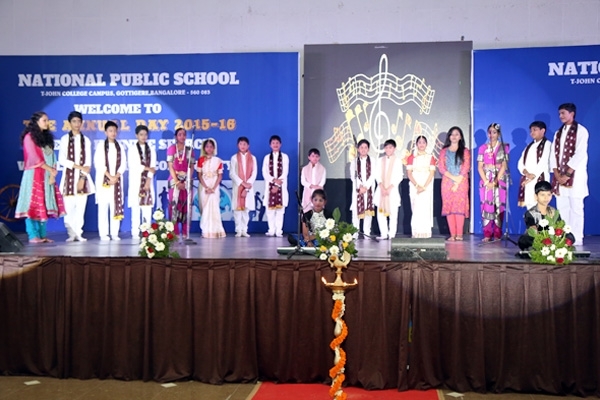 As students engage themselves in the world of music, they develop the finer aspects of their personalities. We have a very talented and melodious choir supported by a very talented orchestra. Experienced teachers in music are provided by the school to hone the talents of the budding vocal artists and the talented guitarists and keyboard players. The mettle of these students musicians are proved again and again by the beauty they add to any school programmes like Annual Day, Independence Day and School Assembly. Dance is one of the most loved co-curricular activities. 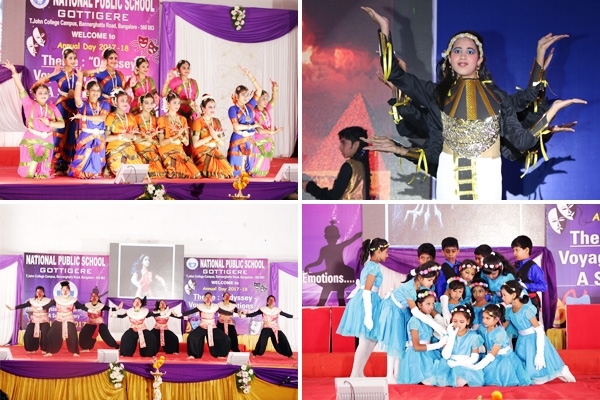 Students are taught diverse forms of Indian classical dances, folk dances and contemporary styles. During the various events like the Annual Day, Independence Day, Teachers’ Day the dance performances are well appreciated. The beauty of the dance programs is that there is optimal participation by the students and variety of dance forms are performed with grace and magnificence. 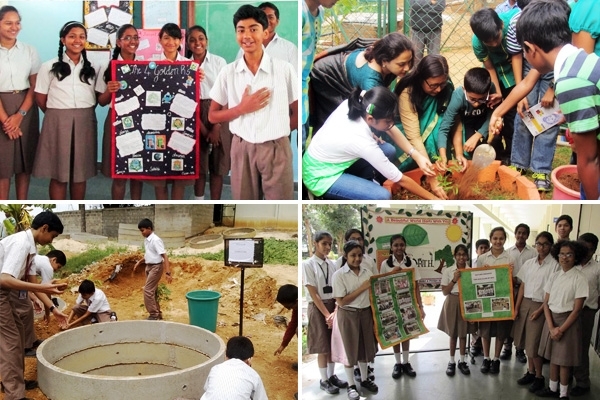 The Eco Club named ‘Nature Knights’ plays an important role in creating environmental awareness amongst the students and aims at evolving them into global citizens with leadership skills. Extensive activities are carried out like environment theme based assemblies, various awareness drives on scintillating environment issues such as Carbon Footprint, Global Warming, Sustainable development, Generating and Using Alternate Sources of Energy, Saving Energy at Home. The energy monitoring squad looks after the segregation of wet and dry waste in the campus and maintains the compost pit and herbal garden. This squad proactively conducts energy saving rounds to check the wastage of water and electricity in the school campus.The school received recognition for its quest from Microsoft –‘Create To Inspire School Programme’ and received the Certificate of Environment Excellence for the Best Use of Creative Expressions for Community Outreach, Most E-Waste Collected, Best Use of Sustainability Toolkit and Community Outreach through Social Media. Sports and fitness are pivotal to the curriculum of NPS, Gottigere and is on caters to all age groups. All year groups have PE classes slotted in the timetable. 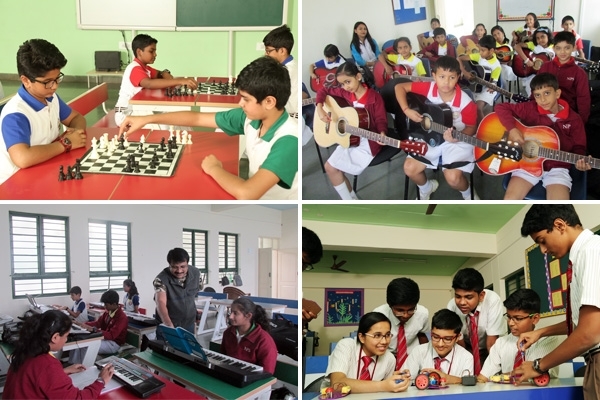 It plays a central role in supporting the ethos of the school. Students can participate in a rich range of such outdoor sports. 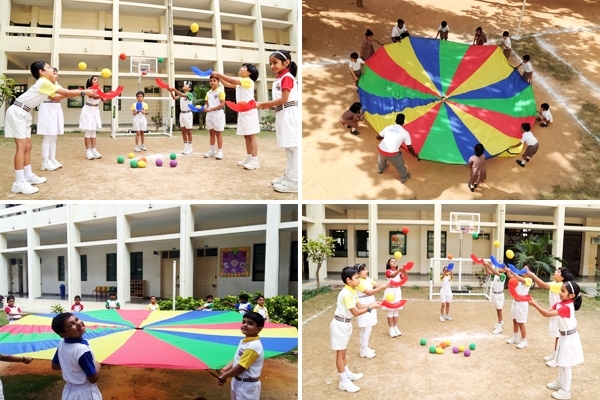 The sports taught from the basic levels are Badminton, Throw ball, Athletics, Football, Basketball, Lawn Tennis and Table Tennis and also traditional sports like Kho-Kho, Lezium etc. 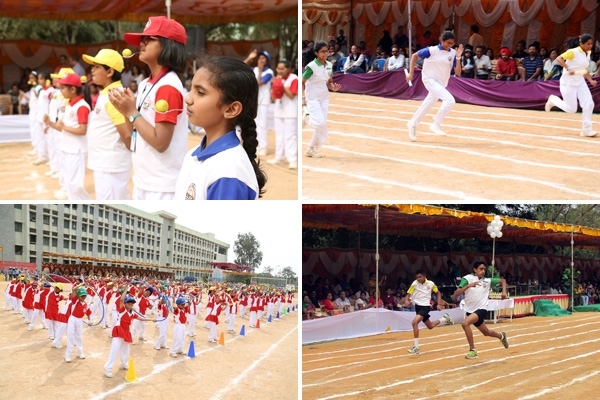 Students were exposed to various Inter School prestigious sporting events like 10th State Level Olympics, CBSE Cluster, Tackle Inter School Boys Football, Independence Day Cup boys etc which got our students recognition and accolades. Through this programme team work is fostered, leaders identified and the never-lose attitude which is ingrained in the students for life..
NPS, Gottigere seeks unique ways to help students have a frame of mind that is conducive to learning. Yoga offers proven methods of developing the inner resilience needed to navigate the physical, emotional and mental balance. NPS believes that through Yoga we can make our students live healthier and can increase their capacity to learn effectively, manage challenging emotions and achieve personal and academic success.